A soothing conditioner suitable for all hair types formulated with Organic Manuka Honey, Aloe Vera, Shea butter, Panthenol, Sunflower oil and Vitamin E. A great, effective conditioner that nourishes and moisturises the scalp; it replenishes the hair’s natural condition by coating and penetrating the external cellular keratin fibre of each follicle, allowing the bioactive organic extracts to instantly restore the condition of the hair. Smooth conditioner through wet hair, leave as desired and rinse. 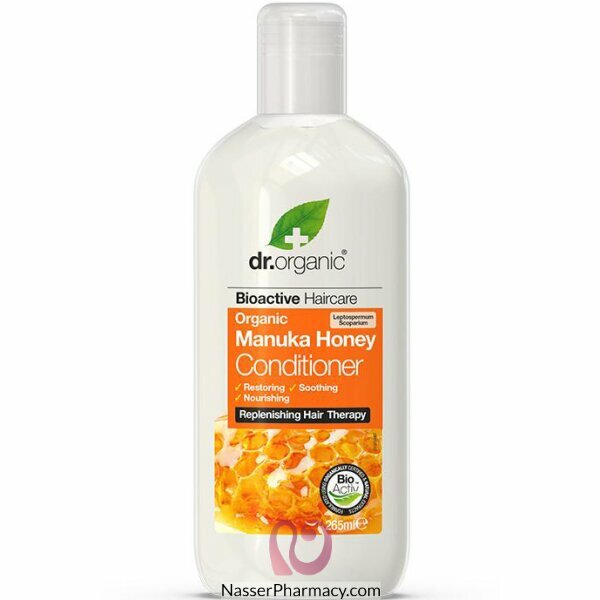 For best results use with Dr Organic Manuka Honey Shampoo.